Ben Muldrow and Aaron Arnett visited Palatka, Florida and conducted a three day Community Branding workshop with the City of Palatka and Palatka Main Street. We were pleased to be working for the first time in the great state of Florida, and had outstanding public participation in the process. Here is a little more for what we discovered in Palatka. We are a place of striking natural beauty, where the majestic St. Johns River serves as our lifeblood. We are a community of natural riches, and our sunrises paint a silhouette a sailboats resting on the glistening water, framed by a canopy of live oaks and Spanish moss waving in the breeze. This beauty is also evident in the lush native vegetation that grows throughout our community. Images of lily pads blanketing a bright green pond, with a backdrop of ferns and palm trees complement those of brilliant azaleas blooming along our bricked streets and historic homes. 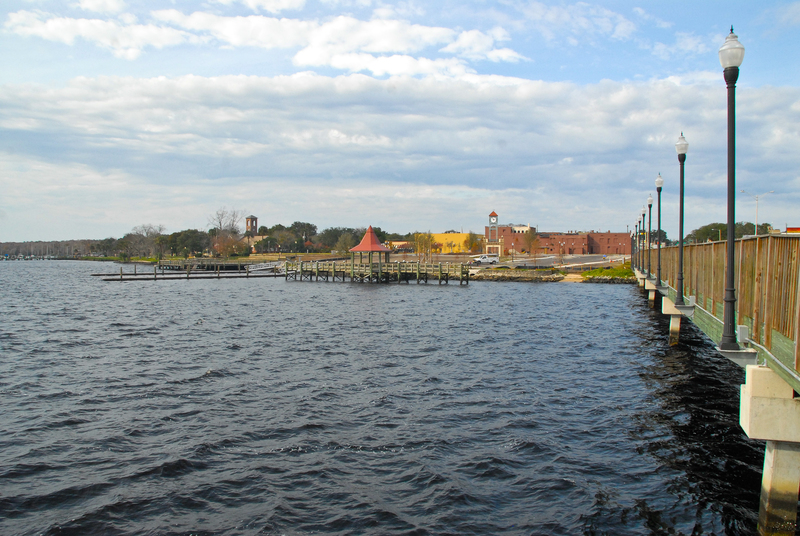 We are the gem of Old Florida, a humble community with a nature to shine. It’s our nature to tell our stories. Our history is unique and our native Floridian roots run deep. The narrowing of the St. Johns provided a strategic location for the Timucua and later Seminole people to settle. The same was true for those who founded what is now known as Palatka, who established the River’s southernmost port giving access to central Florida and beyond. The unrest of the mid 1800s brought Indian clashes and Civil War skirmishes, but the community was reborn as a significant tourist destination. By 1880, Palatka had thousands of hotel rooms, and steamboats carried travelers seeking a haven from harsh winters and northern cities. Through the years, visitors were entertained by Annie Oakley, learned baseball from the great Babe Ruth, and saw hall of famers Lefty Turner and Pop Lloyd, considered by Ruth to be the best baseballer of all time. Take a Seat in Hendersonville.